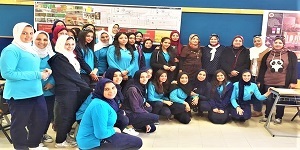 The faculty of Arts and Design received a group of students from Zahraa El Ekbal National School on Tuesday, 27 November, 2018. The aim of the visit was to orient the school students towards the components of the curricula that have been taught in the faculty of Arts and Design and get them acquainted with some fair knowledge of the field. To achieve this aim, the faculty held two workshops. The first was on the creation of mosaic murals where students got au courant of mosaic making kits and the methods of its creation. 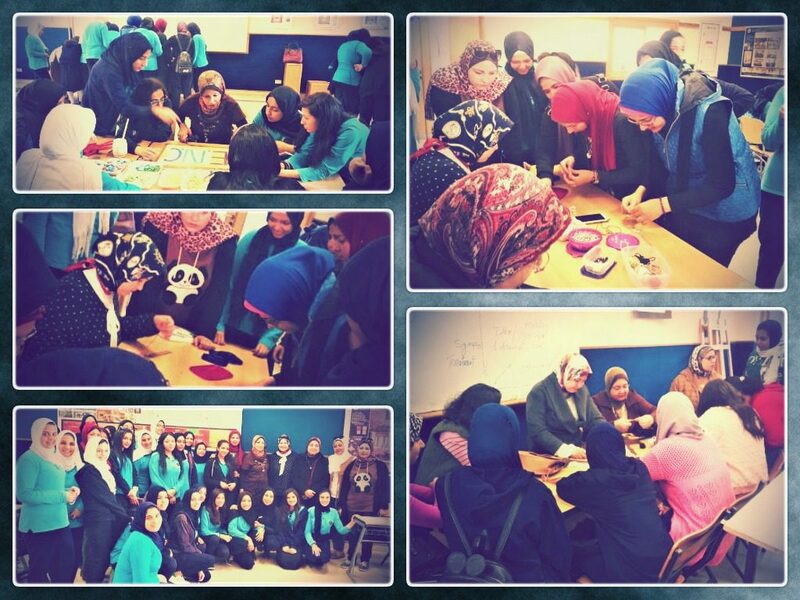 This workshop was given by Dr. Nermeen Gomaa, a lecturer at the Painting Department. The second workshop was on the making of genuine-leather accessories. The students were acquainted in the workshop with genuine leather tools, how it is coloured, punched and braided and the making of running stitches. The coordination of the workshop was managed by Associate Prof. Nahla Ahmed Al Deeb, the Vice Dean of the Fashion Design Department and Ms. Dina Al Kalaf, an assistant lecturer in the Graphics Department.